Often as a student affairs professional the work day rarely turns out as you expect. March 4, 2013 was one of these types of days. On this date I planned to use the morning to finalizing plans for an RA In-service, an on-going training workshop for our Resident Assistant Staff, and the afternoon to conduct one-on-one meetings with some of my staff members. However, at around 9:30am I received a frantic call from an organization president of one of the organizations I advise. I can say this is a typical occurrence from budding student leaders. During the call I found out that the student who was responsible for retrieving Joan Traumpauer Mulholland, the speaker for a Women’s History Month program that evening, from the airport had now realized she had an appointment during that time. In typical advisor mode I proceeded to suggest options the chapter president could pursue and asked her to contact me if she had any other concerns. Whew- crisis adverted, right? Wrong. The president contacted me about an hour later detailing all of the obstacles she had encountered which left me as her final option. So, in an effort to support my students, and to prevent the university from gaining a bad reputation, I adjusted my schedule and retrieved Ms. Mulholland from the airport. Which, I later found out would also include taking her to lunch and helping her to check-in to her hotel. While it was an unexpected change of plans that afternoon turned into one of the most memorable experiences of my life. I was able to spend some quality one-on-one time with a woman who not only lived during the civil rights movement but was on the front lines as an activist. During our conversations I learned of Joan’s challenges and her triumphs. Joan spoke with me just like long time friend would do upon reuniting with a dear friend. She talked to me about her most recent speaking engagements, her children, and her home in Arlington, Virgina. Joan loves Arlington but is not a fan of the increased traffic. One of the most interesting things Joan shared with me was of a long time tradition between her and her neighbors, over our course of dessert. Each Sunday Joan and her neighbors would get together for a potluck dinner. Each person would be responsible for providing one dish. They would have so much food that each would be able to take home leftovers for the next day’s meal. Joan mentioned these potlucks as an opportunity for her to stay connected and learn about the folks that live around her. As she discussed the story I could not help but think of the many times I had heard Resident Assistant candidates proposition potlucks as a way to build diversity and cultural awareness. Though Joan did not allude to potlucks as a way of building cultural awareness, she did display their usefulness in community development, something we Res Lifers value! 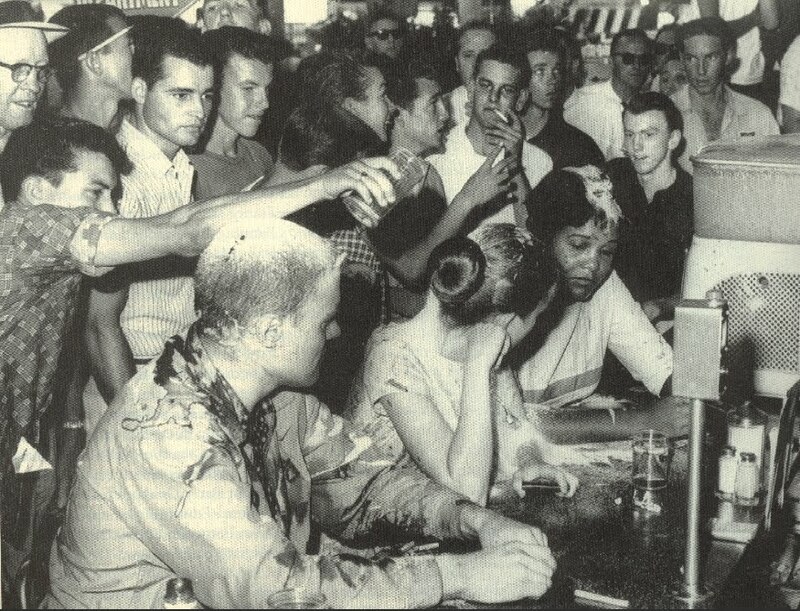 Joan participating in the Woolworth sit in. 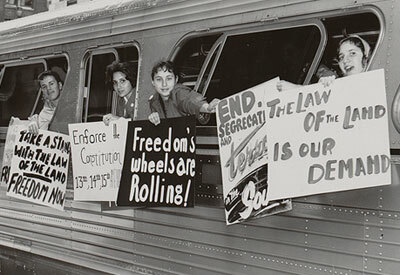 While Joan is most notably known for her acts as a Freedom Rider, during the evening program I learned that she participated in sit-ins, pickets, and other demonstrations. She also insisted that she was nothing more than a college student, an ordinary person, exercising her right to associate and fight inequality. As an affluent Caucasian American she was in the perfect position to spot and relay messages. She also showed that integration was a two-way process by enrolling in the prominent Tougaloo College, which was older than the Jim Crow laws, and thus willing and able to accept her. According to Joan, Tougaloo was the place that anybody who was somebody wanted to play/speak because of its location and protections. While at Tougaloo Joan served as president of the civil rights organization and joined Delta Sigma Theta Sorority, Inc. Joan defines the civil rights movement as a student movement and once she left college, she left the movement. 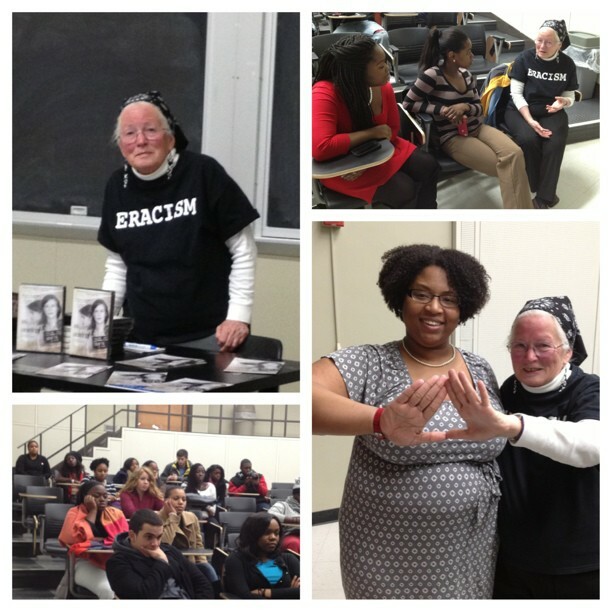 Though, today she continues to speak about the civil rights era and her participation in the movement. That day with Joan taught me not only to value interruption but also never to judge a book by its cover. Joan’s lesson was simple- students and student leaders have the ability, and immense responsibility, to impact the world around them. As educators and student affairs professionals was must remain vigilant in helping them to find both their voice and their passion. We are also equipped with the skills to both challenge and support them through the process. Just as Joan’s instructors did by providing her with the necessary support to complete her education while she was out fighting the good fight. 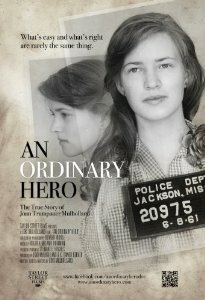 You can find out more about Joan Mulholland Trumpaurer at http://www.anordinaryhero.com/ or by purchasing the documentary about her story at Amazon.